About Ivane P. Message Ivane P.
The tour and guide are both absolutely excellent. Exploring the ancient capital of Mktheska and Tbilisi were amazing experiences. The guide was friendly, knowledgeable, and hospitable. The guide knowledge of Tbilisi and Mktheska was second to none and he gave me an amazing perspective on these beautiful cities. I highly recommend this tour to anyone interested in traveling to Georgia. TOUR GUIDE RESPONSE: Thank you very much ! Good luck ! TOUR GUIDE RESPONSE: Thank you very much. You are very kind . Your feedback inspires me. Great tour - very informative. TOUR GUIDE RESPONSE: Many thanks ! I can absolutely recommend this tour. The guide, Ivane, is very knowledgeable and the scenery is outstanding. TOUR GUIDE RESPONSE: Thank you so much.Happy New Year ! TOUR GUIDE RESPONSE: Thank you ! Have a nice flight ! Ivane is a great tour guide! He is incredibly knowledgeable about the areas we visited, and was able to answer all of my questions. He is also very friendly, and it was great having the opportunity to talk to a Georgian about the country and the areas we were visiting. I can't recommend him and this tour highly enough! Excellent guide. Very professional driver. Is a very decent and conscienceous person. English t is very good. Thanks for the great tour Ivan. We had a good time in your car and visited all sights described in the iternary. Although we believe we could have arranged a similar tour for a less GEL in the city center, the service was great and worth the extra money. TOUR GUIDE RESPONSE: Thank you very much. And it was money for the option in Kazbegi,which you paid for that local SUV. Have a nice time! Ivane was very professional and knowledgeable about the different sites we visited. He also structured the day well so that we were able to get into most of the sites ahead of the crowds. It was a very pleasant day out. Excellent Guide with all informations. Covered a very long distance during the tour with genuine price and was ready to accomodate with our needs as we were travelling with kids.Would love to recommend him to friends and families. TOUR GUIDE RESPONSE: Yes,thank you.Nobody's perfect.And many thanks you making me smile. Ivane was a great guide. He promptly responded to my pre-tour questions, and showed up early for the tour. He was also full of knowledge about the sights on the way to the wineries. He was also friendly and made sure we had a good experience. I highly recommend this tour. We were very impressed with Ivane's professionalism and knowledge. Before the tour he was very prompt to respond to my emails and request to alter the route. During it he was kind, funny, and well-prepared. He even accommodated our wish to use both Russian and English on the trip, which we appreciated. We would definitely recommend Ivane and his tours and would be happy to book him in the future. TOUR GUIDE RESPONSE: Thank you very much,many thanks! Ivane was a very good and save driver for the very long tour, which gave us great comfort. During the drive he explained very well all the areas/ points of interest we passed and political/ cultural backgrounds. He was very flexible to accommodate our spontaneous wishes (e.g. to have a very nice forest walk and swim in the river behind the historic park in Borjomi)or required changes due to our 3 kids travelling with us. In the end, we were 13 1/2 hours on a great tour. During the walk and drive he explained very well all the areas/ points of interest we passed and a very wide political/ cultural background. Ivane provided some real insider tips which made us feel local (e.g. where to have a real local lunch or where to buy the best local specialties). Furthermore he was very flexible to accommodate our prior/spontaneous wishes or required changes due to our 3 kids travelling with us. He had a very good communication with us prior (via SMS)and during the trip. Ivane was a great guide. He showed up promptly at 9am like we agreed. His vehicle was very comfortable, which was appreciated since the tour involved a lot of time on the road. Fortunately, the scenery along the way was spectacular. Ivane's English was excellent and he provided just the right amount of commentary. The cave monastery at Vardzia was amazing as was the lunch at a traditional Georgian restaurant. I highly recommend Ivane and thoroughly enjoyed my day with him! TOUR GUIDE RESPONSE: Thank you very very much. For me it was very interesting and useful experience. Good luck ! Vano is a very honest, very correct and friendly driver-guide in Georgia, an amazing country. You know you are in great hands with him: just take his proposal and you will enjoy a great country experience. Vano is a skilled and careful driver. We went throughout the entire country with him: mountains, Tiblisi, seaside (great Batumi), fantastic monasteries. He really knows the country and we had an enjoyable tour! Vano even changed the program for the last two days when I fell sick, and spent extra km. It was an amazing and interesting trip we all enjoyed it a lot I recommend it with no hesitation big thanks to Ivane the guide who made this trip successful and one of the best tours with the amazing views he showed us. Ivane is a great guide and the wine tour and country side is wonderful. Ivan is a very professional and knowledgeable guide. He accommodated our change requests and even suggested some nice sites to visit. Great tour. Ivane is an excellent tour guide, good driver and very flexible. He adjusted to tour to our request visiting both Vardzia and Rabath and just driving through Bojormi. TOUR GUIDE RESPONSE: Many thanks.You are always welcome ! Good Tour, Ivane adapted and modified his regular tour to include new attractions which I found very interesting. Also he returned my camera back to my hotel, when he found I had left in his car. Recommend. I can easily recommend my new friend Ivane for the kind of service and person he is. I booked him for a 4 day schedule and we learnt a lot more about Georgia than we would with any tour operator. We saw a lot of beautiful places and understood the vibe of Georgia with his in depth understanding and knowledge of the country. He picked up on exactly what kind of places we and sites we wanted to see and gave us invaluable tips to navigate through the city. If want anyone wants a memorable trip - BOOK IVANE!! TOUR GUIDE RESPONSE: Thank you so much!Good luck! Ivane was a very knowledgeable guide and we learnt many new things about Georgia from him. He spoke English very fluently and had a dry sense of humour. Really enjoyed the cave city of uplistsikhe and also mtskheta. Not so much the museum in gori. However Ivane did take us to a really good cafe for lunch. Thank you! TOUR GUIDE RESPONSE: Thank you ! Thank you very much ! Vano is very knowledgeable about the sites he showed us, as well as the history of the region. He is very polite and speaks excellent English. Ivane is a serious, down to earth guide that you can rely on. He is knowledgeable about monuments and attractions on your itinerary and he explains things fully. He is fluent in English so there is no communication barrier. Georgia is a mountainous country and Tbilisi is a hilly city so you have to give your guide credit for walking up and down the steep streets and steps with you whenever necessary. We were very happy with Ivane and would highly recommend his services. Ivane is a serious, down to earth guide that you can rely on. He is knowledgeable about monuments and attractions on your itinerary and he explains things fully. He is fluent in English so there is no communication barrier. He is a fast but reliable driver so you can be sure that your schedule will be adhered to and you will get anywhere on time. We were very happy with Ivane and would highly recommend his services. Our guide Ivane was cordial, competent and very willing to answer all our questions - relating to wine or else. The car ride to Kakheti is for the most part very scenic and enjoyable, despite its length (about 1.30 hours each way). Ivane selected an excellent number of wineries, showcasing the history and various styles of Georgian wines. Wholeheartedly recommended! Ivane did everything possible to make this a memorable day at Dmanisi and he succeeded. He was professional and attentive and extraordinarily helpful. His English is superior and he is a careful driver - something most necessary in Georgia! I recommend him and his services enthusiastically. TOURSBYLOCALS RESPONSE: We're sorry to hear that this was an 'average tour'. We've tried contacting Patti for specific details but have received no reply. Our experience was good, unfortunately marred by factors that made it less than ideal. We traveled in a car with no AC in oppressive heat across all of Georgia. Our days on the road were unbearably long, so much that we cut out one entire area and opted to do a hike instead to not spend more time in the car. 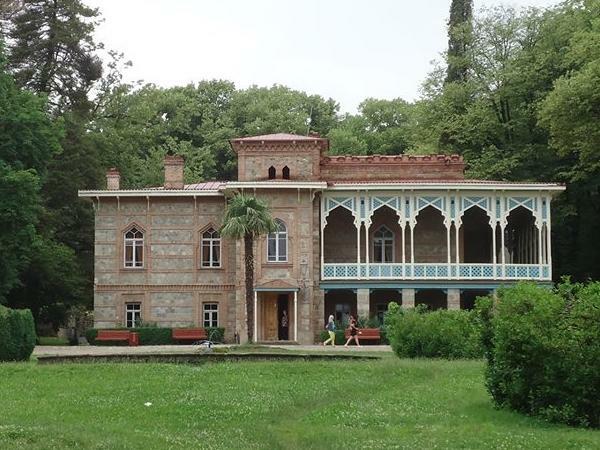 Vano provided good knowledge at historic sites and was flexible making changes on the go when we wanted more winery time vs monasteries in Kakheti. Be sure ask about hours of travel not distances. TOUR GUIDE RESPONSE: Yes,it is good idea to add to multi day tours not only the distance,but also the approximate time. I'll do it i. At that time,the AC broke down the day before the tour. I had no time to fix it. That's why I suggested to replace the car. Thanks!!! TOURSBYLOCALS RESPONSE: We helped the guide to update his tour content to make sure the driving duration is shown. Also we provided a compensation to Charles for the missed AC. Perfect day in the Karkheti region. Good mix of visiting meaningful historic sites and places for wine-tasting (4 places in all). Ivane is easy-going and knowledgeable. TOUR GUIDE RESPONSE: Dear Clifford, thank you very much for your kind words! You always are welcome! Out guide, Ivane, was excellent. He arrived early at our hotel and was very knowledgeable about our trip. We appreciated he did not drive recklessly like many of the drivers in Georgia. We would definitely use him again if and when we return to Georgia. TOUR GUIDE RESPONSE: Hello! Thank you very much for your kind words. I was very pleased to work with you. I want to thank you for your noble work in Georgia. Wish you all the best!! TOUR GUIDE RESPONSE: Thank you so much ! I am very pleased. It was very interesting to work with you . Have a nice day ! We really enjoyed our time in Tbilisi and in the Kakheti region. Our guide Ivane has proved to be very professional, knowledgeable, courteous, and displayed a great sense of humor. Even though the weather was unfavorable, Ivane managed to take us back and forth in total safety and confort. We highly redommend his services for those considering visiting Georgia. TOUR GUIDE RESPONSE: Thank you very much! It was a pleasure to work with you. Come again! Ivane was an enthusiastic and knowledgeable guide for the city tour. I enjoyed his perspective as well as his consideration in making changes in the itinerary. I would recommend him to any traveler who wants to see Tbilisi. TOUR GUIDE RESPONSE: Thank you ! For me it is important to know your opinion. TOUR GUIDE RESPONSE: Your feedback helped me. I have improved the tour. Thank you very much! My son booked the tour of Tbilisi with Ivane so that we would have an opportunity to learn more about the city that is his temporary home. The tour was an excellent overview of both historical and contemporary Tbilisi. We walked, rode the cable car to the fortress and drove through the city. Ivane gave us the history through stories. Ivane is low key and flexible - giving us a mid-morning coffee break We enjoyed his humor and would highly recommend him. TOUR GUIDE RESPONSE: Thank you very much, my friends! You are always welcome ! Having Ivane as our tour guide has helped us understand the Georgia better since his English is quite good and he knows much about the history of places that we visited . TOUR GUIDE RESPONSE: Thank you so much! You're welcome ! This has been our most pleasant experience in Georgia, the guide,Vano, was on time ,friendly, helpful, respectful and extremely informative as well as accommodating in every possible way. I would strongly recommend anyone to make use of Vano's excellent services Thanks Vano me and my family had a wonderfull time! Vano is a great guide: knowledgeable, courteous, pleasant. He is a level-headed driver (uncommon in Georgia). He has a great knowledge of Georgia, but he can also look at his native country from an outsider's perspective as he lived in Moscow for many years. The tour was great in no small part due to his efforts. Thank you! Thank you, Ivan! we had interesting day in Tbilisi. a lot of distinctive places and things we knew. in addition in good inglish and russian. Ivane was an excellent guide. His English was very good and he was extremely knowledgeable about his city and its history. He was on time, polite and I thoroughly enjoyed my day with him. I will definitely use your company's services again. TOUR GUIDE RESPONSE: It`s very nice to hear ! Thank you very much and come again !